After following my proverbial nose all the way from the old Greenwich Observatory in London, through its various moves around the country since 1674, I find one of its offshoots at Harwell, near Devizes in Wiltshire. The UK’s ‘Diamond’ Synchrotron is a particle accelerator for the latest advances in nano-technology. 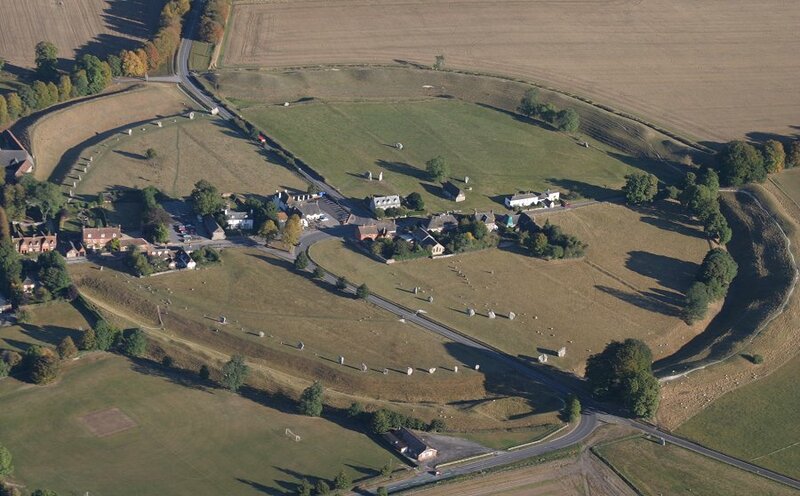 This scientific centre is an interesting neighbour to the ancient stone circle at Avebury, which leads me to wonder if a stone circle is also a ‘particle’, or ‘energy’, accelerator’? I would expect scientists today to scoff at this idea, and yet once the idea that our ancestors were highly intelligent is accepted, the possibility seems less absurd. During the megalithic age many stone structures were erected world-wide leaving modern man to wonder why, but as an investigator of these ancients sites for more than two decades, I am convinced that their builders knew exactly how they worked and how they benefited humankind. However, there is one difference that comes to mind: whereas the particle accelerators today (LHC at CERN) seek to split atoms into sub-atomic particles, and then split those sub-atomic particles into nano-particles to release hitherto unknown energy forms like neutrinos, mini black holes, dark matter or dark energy, there is no present evidence to show that the stone circles destroyed the energy particles they were accelerating. These megalithic sites stand derelict and unused today, and a sceptic may add that the occupants must have eliminated themselves, in which case our scientists need to proceed with caution. Interested parties have no agreement on the age of the stone circles and why they stand alone, other than the cause “must have been a global cataclysm”. Perhaps this could be open to further investigation. I love a writer that writes with the conviction as you do ……. I agree Wendy our scientist should proceed with extreme caution. They are going to keep going till they release something that cannot be controlled. As for the stone monoliths & structures we have inherited I wonder really just how much information (was) left to us that has been totally erased from mankind’s history by a certain religious organization hellbent on keeping vital information from us about our origins & history here on this planet.